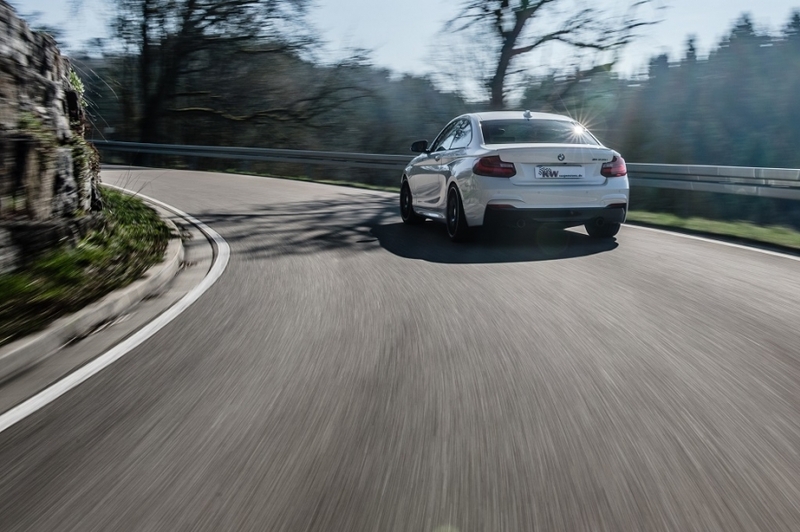 Some of the most popular BMWs are the latest BMW 2-series models. The suspension manufacturer KW has seven different coilovers in program for the BMW Coupe with the all-wheel system xDrive. For the BMW 2-series with xDrive we offer the comfort-oriented KW Street comfort suspensions and for track days developed KW Clubsport coilovers, our famous KW coilovers Variant 1, Variant 2, Variant 3 and the adaptive KW DDC Plug & Play suspension for 2-series models with optional electronic damper adjustment.” Depending on the axle load, all KW coilovers allow a continuous lowering of 25 – 50 mm at the front axle and 15 – 45 mm at the rear axle. The KW Street Comfort kit is designed for comfortable traveling, allowing a decent lowering of 15 – 40 mm at the front and 5 – 35 mm at the rear axle. 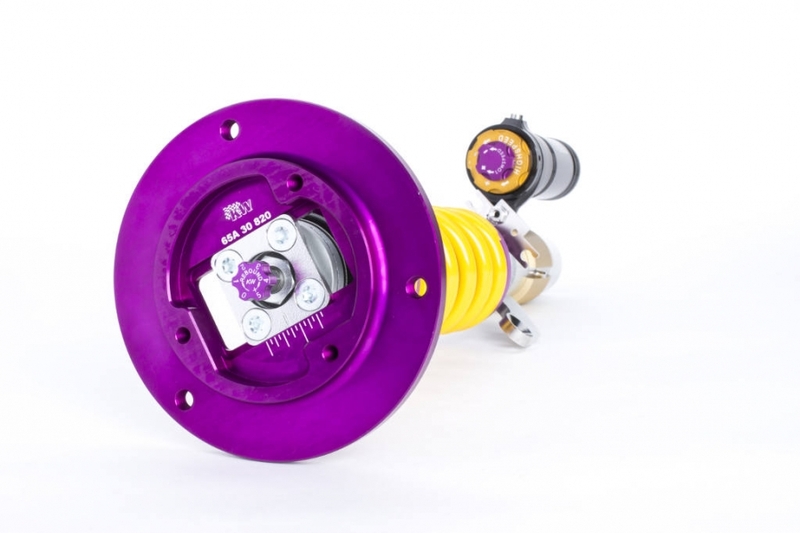 For example, the adaptive KW DDC Plug & Play coilovers are compatible with the optional BMW suspension control. By the push of a button it allows a significantly sporty setup or comfortable traveling and adapts to the respective driving situation. 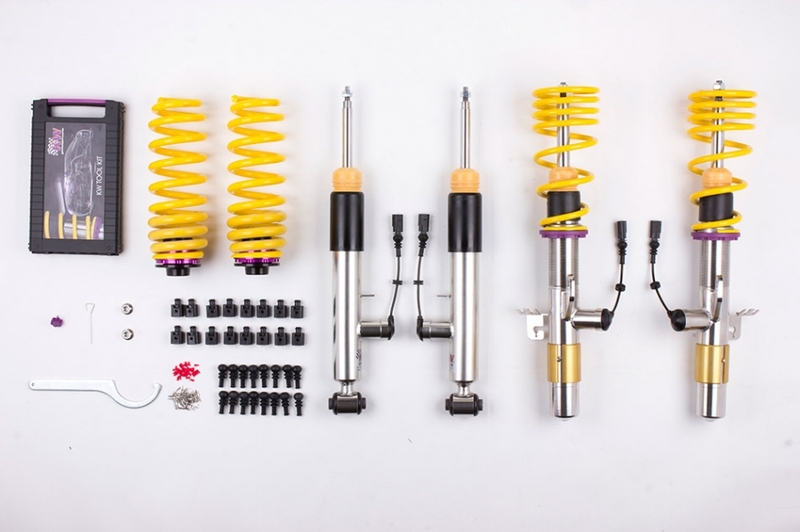 The Variant 2 and Street Comfort kits allow a change of suspension setup. Here the adjustment of the rebound damping can individually be made manually by the KW click adjustment that is located directly on the suspension. 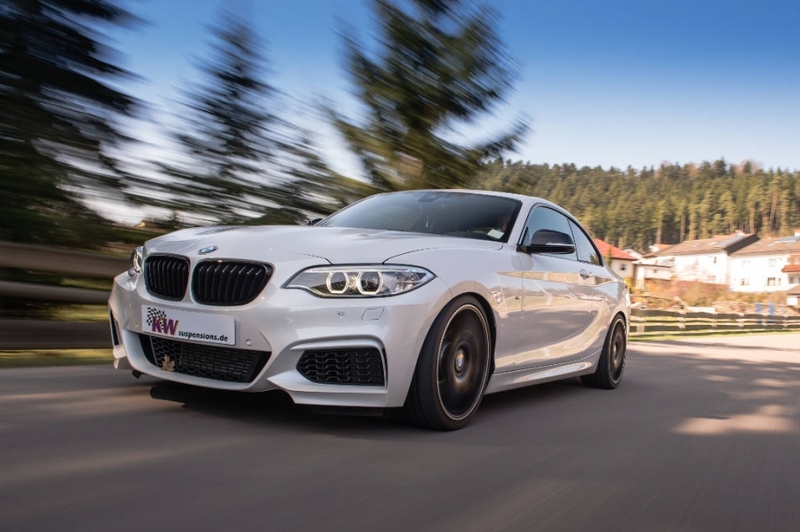 More adjustment possibilities are given by the KW Variant 3 and the KW Clubsport coilovers with their independent compression and rebound adjustment, which is similar to the KW Competition suspensions that are used in the BMW Z4 GT3. While the Variant 3 in its design was developed for the street, our Clubsport suspensions are the perfect accessory for BWM 2-series drivers who regularly attend track days with their BMW and want to experience the pure driving pleasure with maximum performance. The 2-way and 3-way Clubsport suspensions feature adjustable top mounts, Clubsport dampers and springs that are designed for the race track. The KW Variant 1 does not have an adjustable damper setup available.